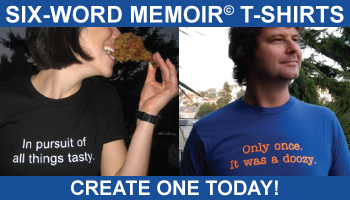 Regular readers and writers on the Six-Word Memoir project know that some of the best sixes come in moments that mean the most to us. 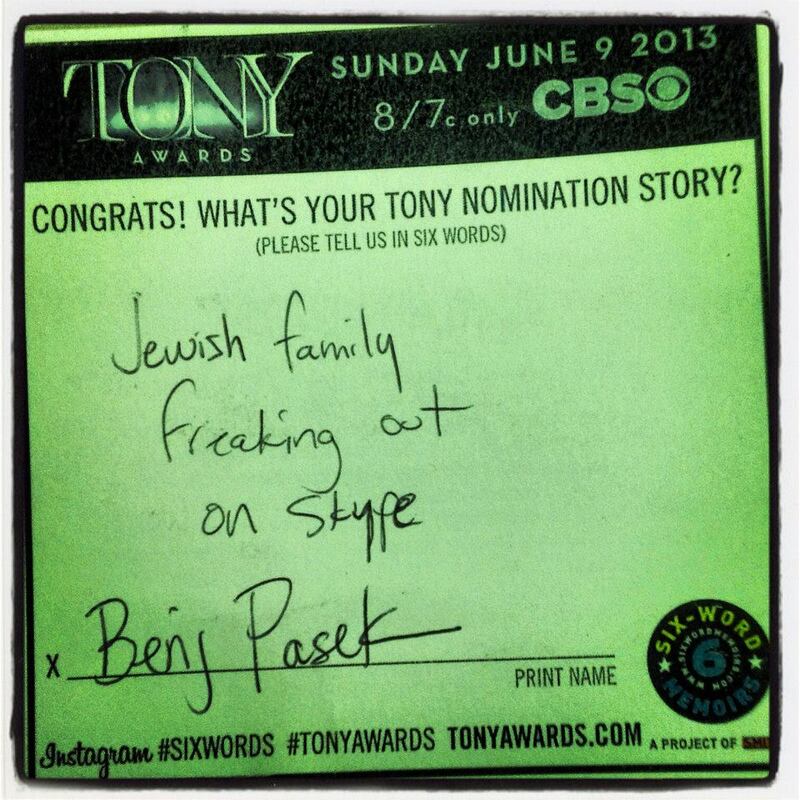 So in 2010, when prolific sixer and Director of Communications at The Broadway League, Elisa Shevitz, (”Insomniac dreamer, a thousand times goodnight”; “I hear my inner Woody Allen”; “I do it for the shows”) suggested we ask Tony Award nominees to share what they’re feeling about this honor in exactly six words I knew she was onto something wonderful. For the last four years at a fancy lunch to honor the Tony Award nominees, some of the world’s most famous folks in the theater world have been doing just that. 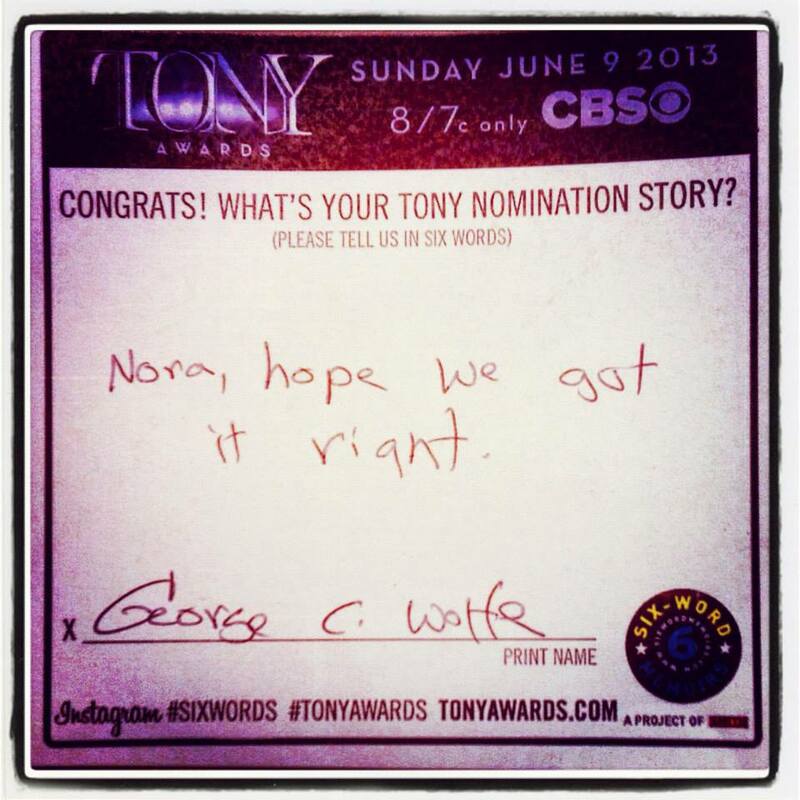 As the likes of George C. Wolfe, Tom Hanks, and Cyndi Lauper take their spot at the table they’re greeted with a card with this prompt: “Congrats! 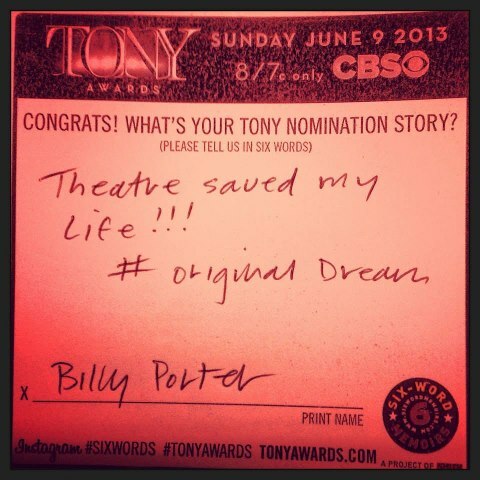 What’s your Tony nomination story?” Many of Broadway’s best—from the actors on the stage to the rarely scene miracle workers behind it—shared their reaction to being honored by their peers in six words. Each card is captured using the modern magic of Instagram and collected in this photo gallery in anticipation and celebration of the 67th annual Tony Awards at Radio City Music Hall on Sunday, June 9.